Eggplant (known as Aubergine outside North America)… you either love it, or you hate it! 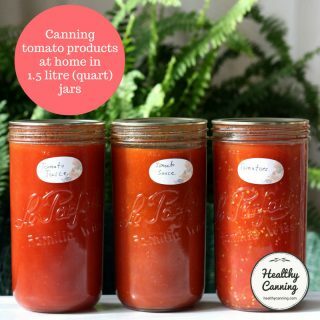 But let’s look at canning it. 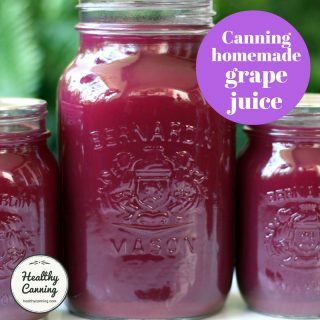 There are currently no tested directions for pressure canning plain eggplant (aka aubergine) either on its own by itself or as an ingredient in a pressure-canned mixture. 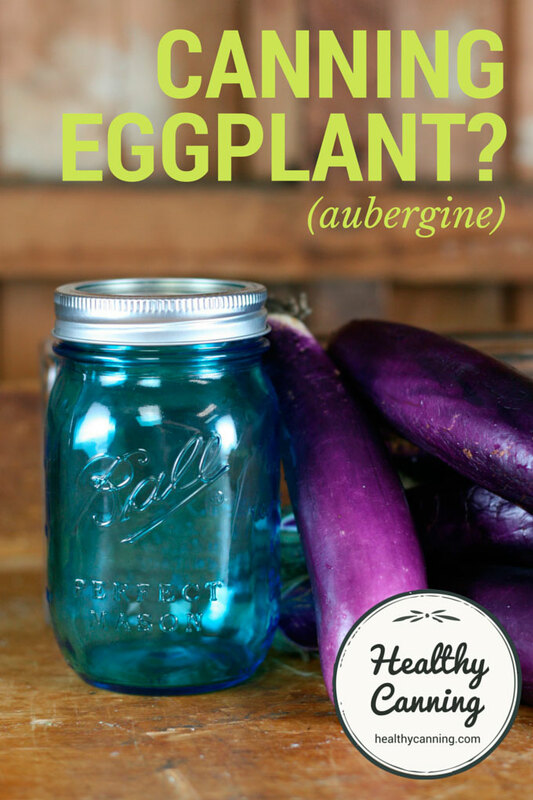 The National Center for Home Food Preservation says explicitly, “We do not have canning recommendations for eggplant, so we cannot recommend [it]….”  NCHFP blog comment 9 March 2015. 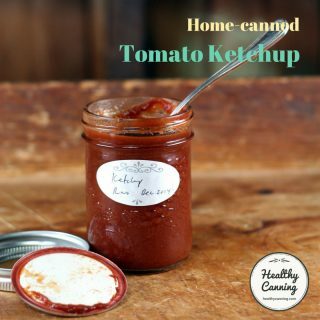 That also means it is not allowed as an ingredient in the NCHFP’s “free-wheeling” soup recipe, either, nor can you add it to any plain canned vegetable mixtures. Eggplant has a high pH of 5.50 – 6.50  FDA. Approximate pH of Foods and Food Products. April 2007. 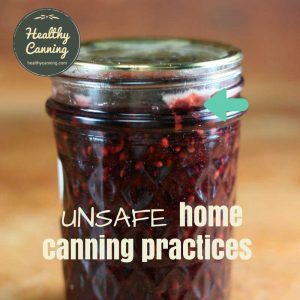 Accessed March 2015. , well above the safety cut-off of 4.6, so it would require pressure canning if it were canned plain on its own. 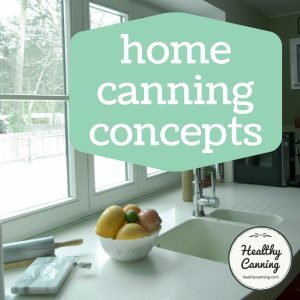 However, the pressure canning issue is almost certainly the density of eggplant (as it cooks and mooshes together) which could cause heat penetration issues. 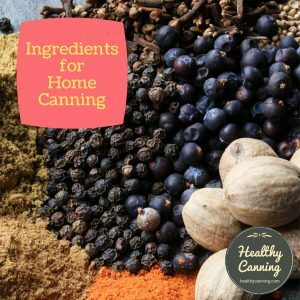 We know of only one tested pressure canning recipe that calls for it as of 2016. That is the ‘Roasted Eggplant and Pepper Puttanesca Sauce’ in the Ball All New book (2016), page 181. There is still good news, though, for eggplant fans or people with a glut of eggplant on their hands. 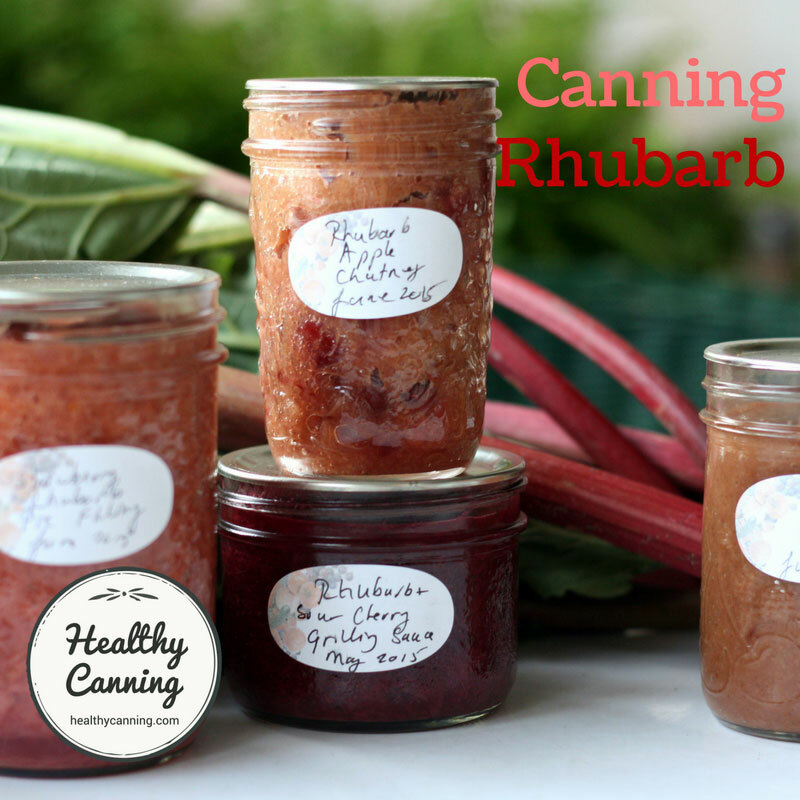 You can safely can it, in some form of preserves. There are some tested, safe and delicious recipes from trusted, reputable sources for using eggplant in preserves such as pickles and relishes. In these recipes, the acidity of other ingredients lowers the pH of the eggplant to below the 4.6 safe point so you can get busy and start using up that abundance of eggplant. Note that most recipes call for peeling the eggplant, and some suggest you use the thin purple Chinese ones, so that’s a lot of fiddly peeling so leave some time for that. Note also that some recipe writers may refer to “bitterness” in eggplant. 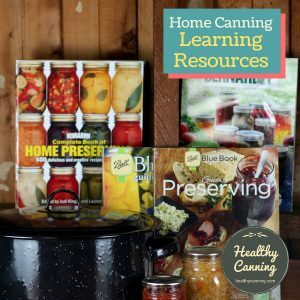 Modern eggplants have had most of the bitterness bred out of them a few generations ago, so the worries of bitterness are actually largely a thing of the past — but canning recipe writers are a conservative lot so you may still see older mentions of that carried forward. 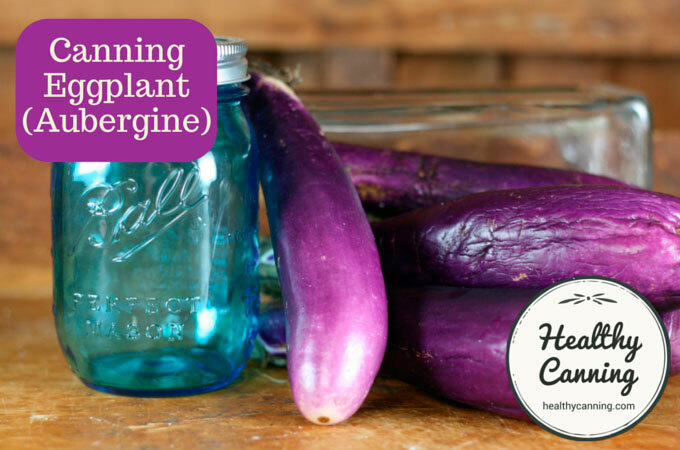 This information is provided so that if you see “eggplant canning” advice put forth as something new on the Internet, you can see that it is actually as old as the hills — and discredited. “CANNED EGGPLANT: Pare the eggplant, cut it into thin slices, and boil it fifteen or twenty minutes. Then drain off the water, pack the eggplant into BALL Jars, fill them to overflowing with cold water… Process three to four hours in hotwater bath; one and one-half hours, water-seal outfit; one hour under five or more pounds of steam; forty minutes in aluminum pressure cooker.”  Ball Blue Book, edition 3. 1920s. Page 47. In 1944, the USDA gave this advice about canning eggplant: “The list of vegetables you don’t want to can includes also cauliflower, celery, cucumbers, eggplant, lettuce, onions, parsnips, and turnips.”  USDA Office of Information. Homemaker’s Chat Question Box. 13 July 1944. Page 2. Eggplant: Wash, peel, slice or cube eggplant. Soak 45 minutes in brine (1 tablespoon to 1 quart water.) Drain. Boil 5 minutes in clear water. 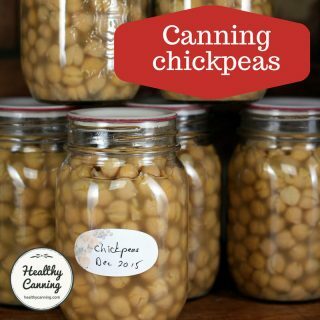 Pack into hot BALL Jars. Cover with boiling water. Process 40 minutes at 10 pounds pressure. Canned eggplant is usually dark in color.”  Ball Blue Book, 1949, page 20. Wash, pare, slice or cube eggplant. Sprinkle lightly with salt. Cover with cool water. Let stand 45 minutes. Drain. Boil 5 minutes. Drain. Pack, hot, into hot Ball jars, leaving 1-inch head space. Cover with boiling water, leaving 1-inch head space. Adjust caps. Process pints 30 minutes, quarts 40 minutes, at 10 pounds pressure. Canned eggplant is usually dark in color. Ball Blue Book. 29th edition, 1974, 2nd reprint. Page 26. 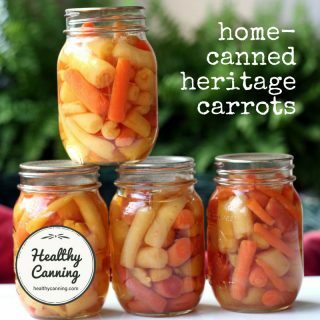 In 1977, their advice changed to “freeze it”: “Freezing results in a better product than canning. See page 92 for proper instructions on freezing eggplant.” Ball Blue Book. 30th Edition, 1977. Page 65. That has remained their advice since. Eggplant: This loses its looks when it’s canned, but does well in casseroles. 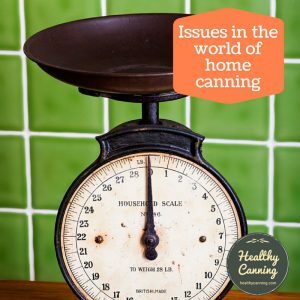 GENERAL HANDLING Pressure Canning only. Use Hot pack, in jars only. Wash, pare, and slice or cube eggplant. Soak for 20 to 30 minutes in 1 quart water with 1 tablespoon of salt; drain. In fresh water, with 1 tablespoon of lemon juice, simmer for 5 minutes. Drain. Fill clean hot jars, leaving 1 inch of headroom. Add fresh boiling water but no salt; adjust lids. Pressure-process at 10 pounds (240 F/116 C)—pints for 30 minutes, quarts for 40 minutes. 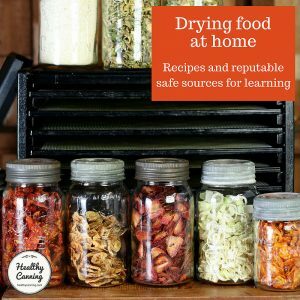 Remove jars; complete seals if using bailed jars.”  Hertzberg, Ruth; Greene, Janet; Vaughan, Beatrice (2010-05-25). Putting Food By: Fifth Edition (pp. 141-142). Penguin Publishing Group. Kindle Edition. To be clear, the USDA never had advice for canning plain eggplant by itself, so it’s of no use to ask them about it — they have no information on it. It was Ball that did, and they rescinded it many decades ago. If you want to know why, it’s Ball you would need to ask. The advisory from the USDA is: do not do it. See risk factors below. In 1993, seven people in Italy got botulism from eggplant stored in oil. CDC. International Notes Type B Botulism Associated with Roasted Eggplant in Oil — Italy, 1993. Accessed June 2015. 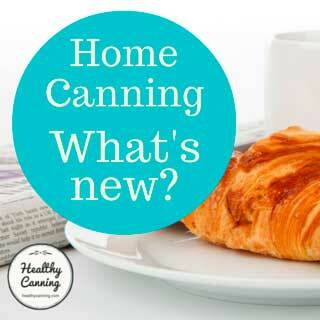 In 1999, two people got botulism from home canned plain eggplant (method unstated.) Sobel, Jeremy et al. International Notes Type B Botulism Associated with Roasted Eggplant in Oil, 1990–2000. Emerging Infectious Diseases • www.cdc.gov/eid • Vol. 10, No. 9, September 2004. Page 1609. Accessed March 2015. 1. ↑ NCHFP blog comment 9 March 2015. 2. ↑ FDA. Approximate pH of Foods and Food Products. April 2007. Accessed March 2015. 3. ↑ Ball Blue Book, edition 3. 1920s. Page 47. 4. ↑ USDA Office of Information. Homemaker’s Chat Question Box. 13 July 1944. Page 2. 5. ↑ Ball Blue Book, 1949, page 20. 6. ↑ Ball Blue Book. 29th edition, 1974, 2nd reprint. Page 26. 7. ↑ Ball Blue Book. 30th Edition, 1977. Page 65. 8. ↑ Hertzberg, Ruth; Greene, Janet; Vaughan, Beatrice (2010-05-25). Putting Food By: Fifth Edition (pp. 141-142). Penguin Publishing Group. Kindle Edition. 10. ↑ CDC. International Notes Type B Botulism Associated with Roasted Eggplant in Oil — Italy, 1993. Accessed June 2015. 11. ↑ Sobel, Jeremy et al. International Notes Type B Botulism Associated with Roasted Eggplant in Oil, 1990–2000. Emerging Infectious Diseases • www.cdc.gov/eid • Vol. 10, No. 9, September 2004. Page 1609. Accessed March 2015.